The default screensavers in Windows don’t provide additional settings for tweaking their appearance and physics. A portable program named Screensavers Tweaker makes this possible, enabling many unique ways to customize these built-in screensavers. 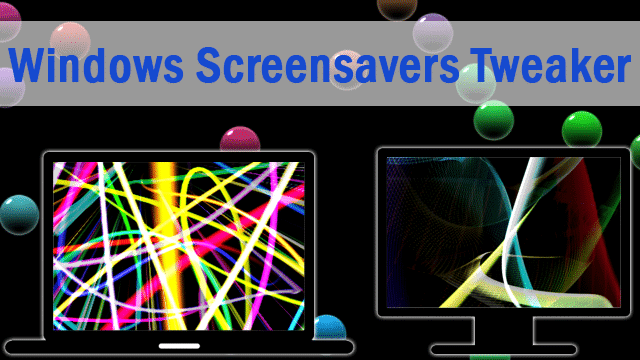 Use Screensavers Tweaker to make changes to the “Bubbles,” “Mystify,” “Ribbons,” and “Aurora” screensavers from Windows Vista to Windows 8.1. Use sliders and check boxes to tune the options as desired, then just apply the screensaver to save the changes. Follow along as we look at the available customizations for the Bubbles and Ribbons screensavers. 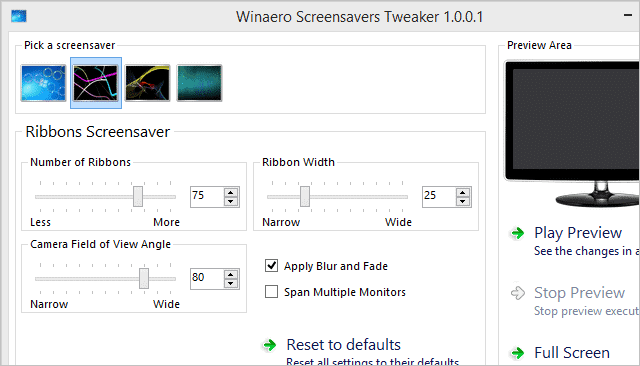 Download Screensavers Tweaker here and then extract the files/folders with something like 7-Zip or WinRAR. 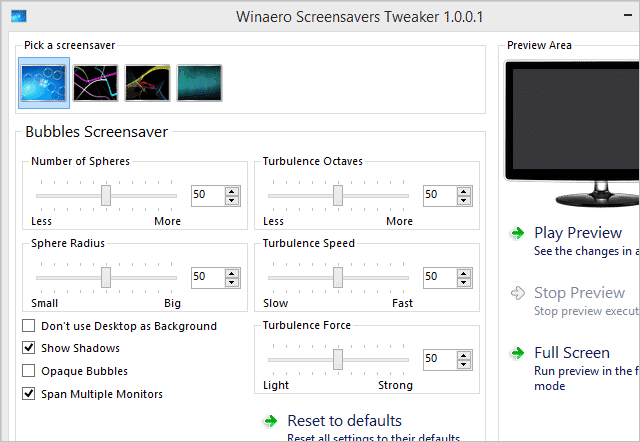 However, with Screensavers Tweaker, choose the “Bubbles” screensaver for an entire page of customizable settings. This particular screensaver can be adjusted to include a certain amount of spheres at a particular radius size. 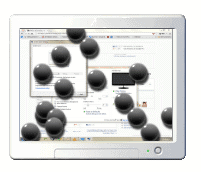 Change the speed at which the bubbles move and even make them stop moving across multiple monitors with the “Span Multiple Monitors” option at the bottom. The “Opaque Bubbles” option will fill in the bubbles, making them no longer clear as is the default setting. Check the box next to “Don’t use Desktop as Background” to use the Bubbles screensaver but not reveal your personal desktop in the background. Choose “Play Preview” to see how the changes will appear when running the screensaver. To apply the changes, you need only to open the default screensaver options and choose the desired name. For example, we changed the Bubbles screensaver, so I’d open “Control Panel\All Control Panel Items\Personalization,” select “Screen Saver,” and then choose “Bubbles.” There are no saving options done within the Screensavers Tweaker program itself. 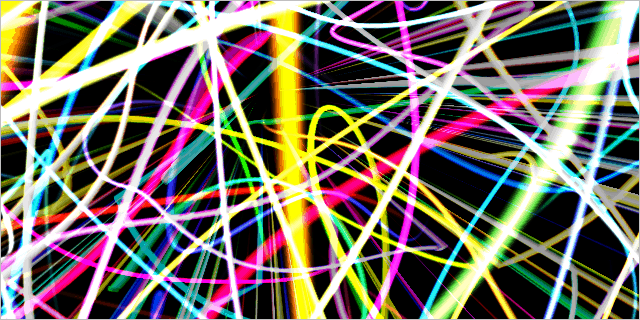 Another group of additional settings we’ll look at is for the “Ribbons” screensaver. Adjust the size, viewing angle, and number of ribbons that should be displayed. Changes can also be made to the “Mystify” and “Aurora” screensavers. The Aurora screensaver can be downloaded here. It can get rather boring to see the same screensaver effects on everyone’s computer. Make these changes to have a touch of uniqueness to yours without much but a few changes to the settings.